Honorable Michael J. Streit has joined Sullivan & Ward, P.C. after serving for over 27 years on the bench in Iowa District Court, the Iowa Court of Appeals and the Iowa Supreme Court. Former Justice Streit will dedicate his full time practice to mediation, arbitration, litigation, ethics, contracts, fair courts, and judicial independence. He received the John F. Kennedy Profiles in Courage Award for his role in the Iowa Supreme Court decision recognizing marriage equality. Born in Sheldon, Iowa, he received his bachelor’s degree from the University of Iowa in 1972. In 1975, he graduated from the University of San Diego School of Law, where he served on the law review and as editor-in-chief of the monthly law journal. He then practiced law in Chariton, Iowa until 1983, where he served farmers, businessmen and everyday Iowans. He also served as Assistant Lucas County Attorney and Lucas County Attorney before being appointed as a district court judge in 1983, where he served in all 16 counties of the Fifth Judicial District. He presided over cases dealing with crime, families, business, farm debt, juveniles and probate. Former Justice Streit was appointed to the Iowa Court of Appeals in 1996 by Governor Terry Branstad. In the five years on the Court of Appeals, he wrote over 600 decisions. Former Justice Streit was appointed to the Iowa Supreme Court in 2001 by Governor Thomas Vilsack and served through 2010. While serving on the Supreme Court, Former Justice Streit authored over 170 opinions. He served as Chair of the Rules Committee, and on the Bar Admissions and Administrative Committees. He enjoyed serving as liaison to the Fifth, Seventh and Eighth Judicial Districts. He received the Distinguished Alumni Award from the University of San Diego for his service to the profession and the Iowa courts. 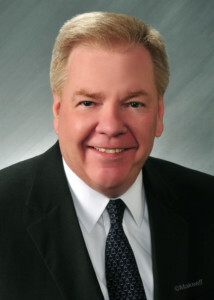 He has served on a wide range of boards and committees, including the Board of Counselors of Drake Law School, and began the Iowa Judicial Institute in 1992. The Institute provides in-depth educational opportunities for Iowa judges at the Drake and Iowa Law Schools each year seeking to improve the professionalism and knowledge of judges as they serve Iowa citizens.